In my personal imagery the Maggiolino (May bug) has something related to the mystic. Finding one in grass of my garden was always a great surprise giving a sense of luky. The problem is that Maggiolino is the common name my father teach to me and for this reason it has not been so simple to find some good information about it after shooting these photos… What I always called Maggiolino apparently is something different! The Cetonia Aurata (rose chafer) is a beetle fairly common in Europe and America of the subfamily cetoniinae. Looking at it is possible to easily understand the origin of the name. Thanks to its deep green metallic color it seems to be artificial. Its size rarely is more than 0,75 in (1,5 cm) long. 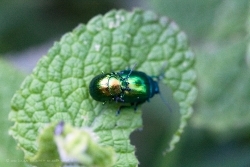 It can fly, but as a lot of other beetles it is not really elegant at it. 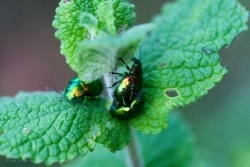 It lives in the vegetation and eat plants, flowers and products of the plants. After mating, the females will lay eggs in about two weeks in shrubs or in the ground overwinter until the following spring. I remember when I was a child and my parents told some stories about this beetle. In the old times young boys tied a thin rope at a leg of the bug and linked it to a wood stick. This trick let them to have a personal flying jewel to show to their friends. 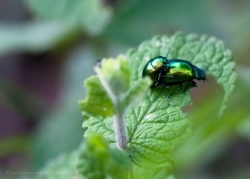 Description: The Cetonia Aurata (rose chafer) is a beetle fairly common in Europe and America of the subfamily cetoniinae, it has a metallic green color and is able to fly. 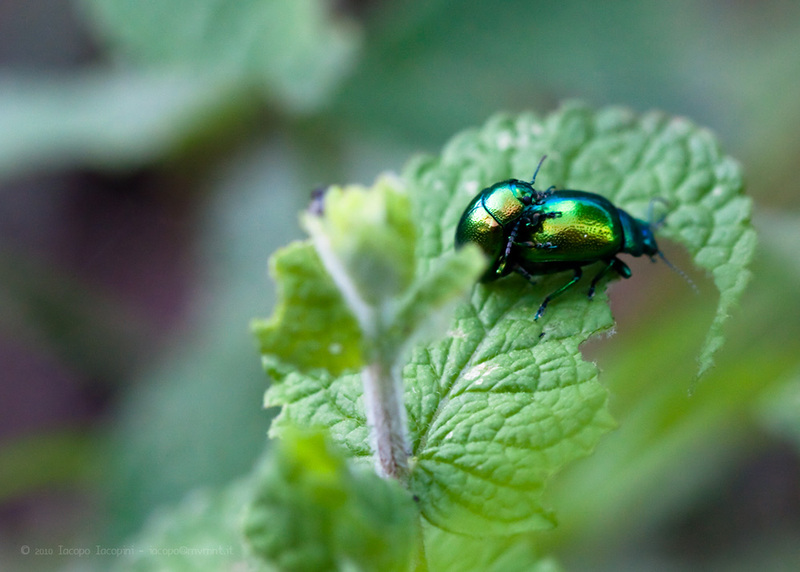 Tags: beetle, bug, cetonia aurata, deep green, macro, macro photography, maggiolino, may bug, metallic green, rose chafer. 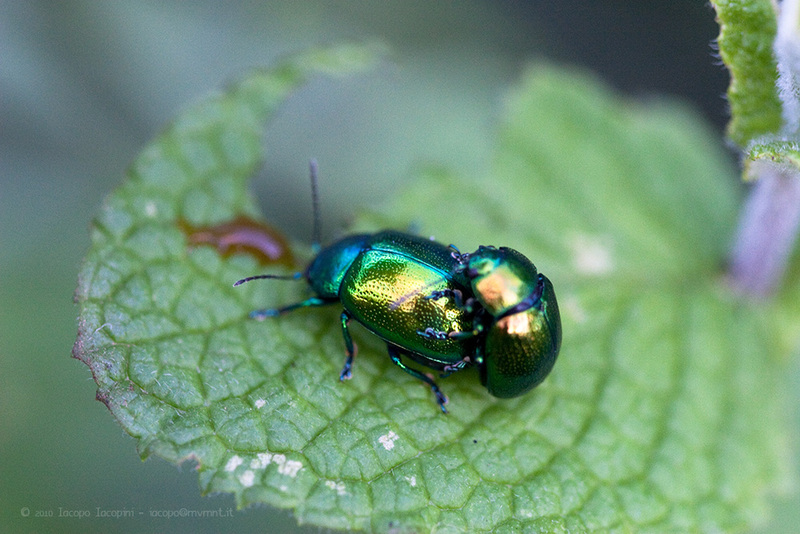 The name you gave this beetle is totally wrong!!! Please, change it. You have to! 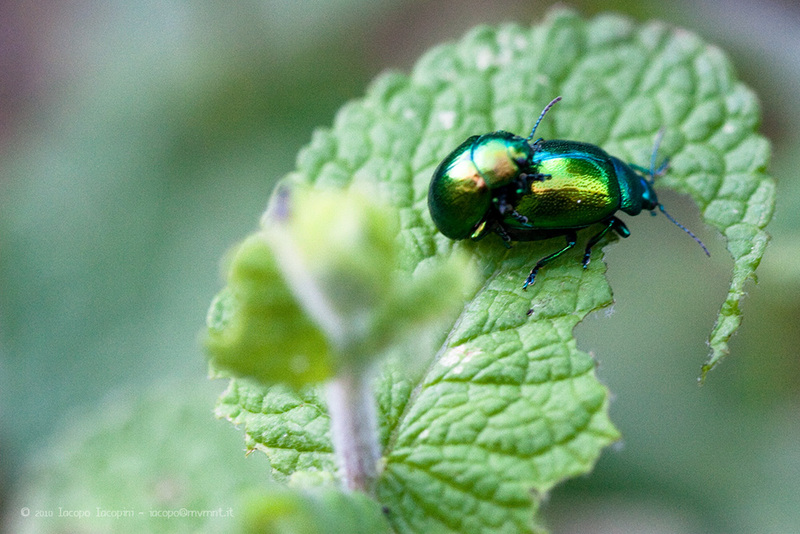 Just because it’s an green shiny beetle, doesn’t mean it’s an rose beetle. It seems you didn’t even looked at the animal. Sorry, I really don’t want to offend you, really, but you can make a lot of damage with your misinformation!! I’m writing, because, when you look up Google images for “cetonia aurata” your photos are highly ranked and imagine a schoolkid needs information for a schoolprojet and takes your photos… It will be totally misleaded. I like your photos, but please do proper research to them!